K1 Speed Phoenix is the authority when it comes to electric indoor go kart racing in the Phoenix, Scottsdale, Glendale and Peoria area! Whether you’re a diehard racing enthusiast or are interested in trying authentic, European-style kart racing for the first time, a visit to K1 Speed is a must! Our facility provides a genuine racing experience that is great for novice and experienced drivers alike; our 20hp 100% emissions free electric racing karts can reach speeds approaching 45mph and our high-grip racing surface allows drivers to push the limit through high-speed corners! Needless to say, don’t be surprised if the adrenaline is flowing after your race! And we must warn you, speed can become addictive! At K1 Speed, our tracks are professionally designed to provide racers with an opportunity to hone their skills and feel the rush of head-to-head racing. 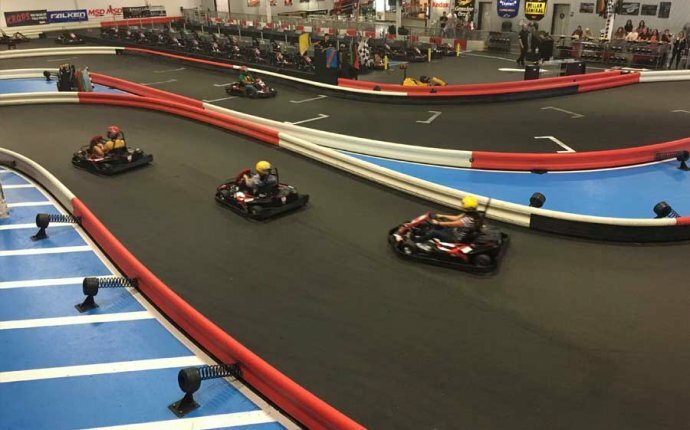 K1 Speed co-owner Boris Said – NASCAR, American Le Mans and Daytona racecar driver – ensures that every K1 Speed indoor karting center provides an authentic racing experience, and it goes without saying that K1 Speed Phoenix meets this standard. With high-performance electric karts, a racing surface that allows drivers to maximize speed through corners, and fully air-conditioned facility, we believe that K1 Speed Phoenix is the clear choice for indoor go kart racing in the Phoenix, Scottsdale, and Glendale area, and we think that you’ll agree as soon as you turn your first lap!